The Mill Road Winter Fair is a great community event which attracts thousands of people each year. As a pro-bono project, Mono Industries designed a new identity for the fair. 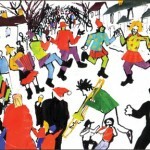 The Mill Road Winter Fair is a great community event which attracts thousands of people each year to Mill Road, Cambridge’s mainly independent high street. As a pro-bono project, Mono Industries designed a new identity for the fair as well as various pieces of print including programme front covers and posters. The illustrations for the programme covers were drawn by Cambridge illustrator Sam Motherwell. 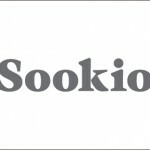 Sookio Ltd provides web content, social media and expert editorial support for small businesses and big brands. Having had a long-term relationship with Sookio Ltd, Mono Industries was asked to develop a simple, yet polished logotype for the company.